For more events and most accurate information contact the Eleuthera Tourism Office 242-332-2142. Eleuthera Junkanoo Festival: Jan 5th-7th. Governors Harbour. Junkanoo parade is Saturday the 6th. James Cistern Heritage Fish Fry: Saturdays from Jan 13th to March 24th 2018. Fish fry and BBQ to raise funds for the James Cistern Heritage Affair Homecoming Committee. Takes place under the cork tree in James Cistern with Bahamian music, dancing, drinks, conch fritters, peas and rice, mac and cheese and BBQ chicken. Annual Cancer Society Hope Ball: Saturday March 3rd at 6pm in Palmetto Point. Annual red carpet event to benefit the Cancer Society of Eleuthera. Ride for Hope: March 10th 2018. See detailed information listed below. 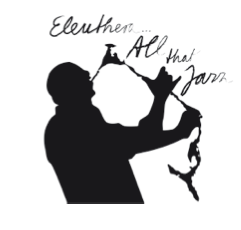 Eleuthera All That Jazz Festival: April 11th to April 15th. Most of the concerts take place in the Governors Harbour area. Proceeds benefit the Haynes Library. Pineapple Festival: May 31st- June 3rd 2018. An annual festival since 1988 to celebrate the Eleuthera farmers and the pineapples they grow. One of the biggest events on Eleuthera. Features pineapple themed events, a high school Junkanoo rush out, the pinappleman triathlon, bands, DJ's, food and drink, etc. Triathlon is June 2nd 2018. Junkanoo: Held either Christmas day December 25th or Boxing Day 26th it rotates among settlements on Eleuthera and Harbour Island. 2018 Homecomings and Festivals (estimated around these weekend, exact dates may change): Annual events where descendants of a community all return for a wide variety of events and to raise money for the community. Events usually include food and drink, music, talent and/or fashion shows, worship, and a Junkanoo rush out. Homecomings are a lot of fun and everyone is welcome to attend. Eleuthera All That Jazz Festival: An annual jazz and blues festival to benefit the Haynes Library in Governors Harbour. The next festival will take place April 11th-April 15th 2017. For up to date information check their Facebook page. ​Ride for Hope's Gran Fondo Eleuthera will take you on an excursion through Eleuthera Island, where you’ll pedal past turquoise, crystal clear waters, quaint settlements, and be taken on a journey that combines scenic riding, historical sites with little to no traffic. The route, if riding over 50 miles will even lead you on a venture over the world famous glass window bridge. Throughout the weekend you can experience true freedom and island living as you wander the winding roads and explore off the beaten track trails leading you to seemingly untouched private beach escapes, hidden treasures, caves and lots of outdoor adventure. 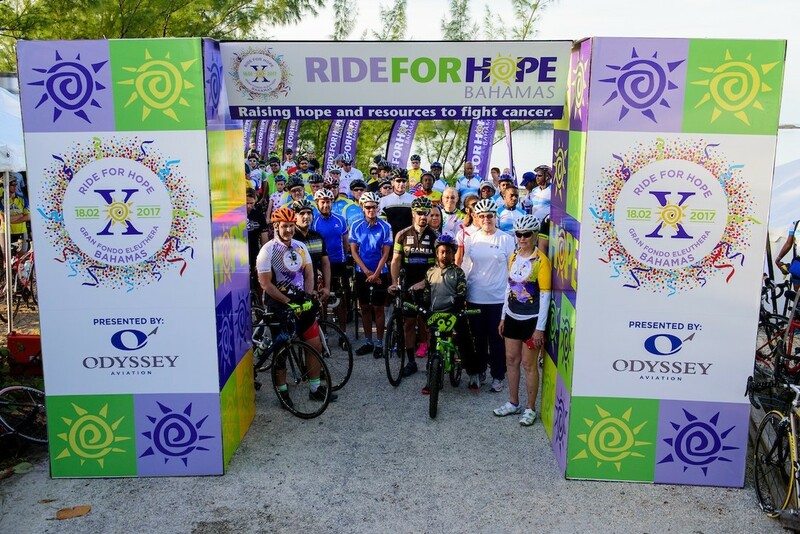 Proceeds from all Ride for Hope participants’ fundraising efforts are donated towards the treatment and research of cancer in the Bahamas. Cyclists choose their own participation level (starting with a fundraising minimum of $500; $250 for students) along with their own personal goal of how many miles they intend to ride (an out and back route of up to 100 miles). Registration is open online at www.rideforhopebahamas.com. Any able to physically be there on the day of the Ride but, want to participate in the true spirit of the fundraiser? Now there is an option to sign up as a virtual rider! Pineapple Festival: June 2nd - 5th 2107. An annual festival since 1988 to celebrate the Eleuthera farmers and the pineapples they grow. One of the biggest events on Eleuthera. Features pineapple themed events, a high school Junkanoo rush out, the pinappleman triathlon, bands, DJ's, food and drink, etc. Triathlon is June 3rd. Dec 25th 2017 at 8pm in Gregory Town. 2017 Homecomings and Festivals (estimated around these weekend, exact dates may change): Annual events where descendants of a community all return for a wide variety of events and to raise money for the community. Events usually include food and drink, music, talent and/or fashion shows, worship, and a Junkanoo rush out. Homecomings are a lot of fun and everyone is welcome to attend.